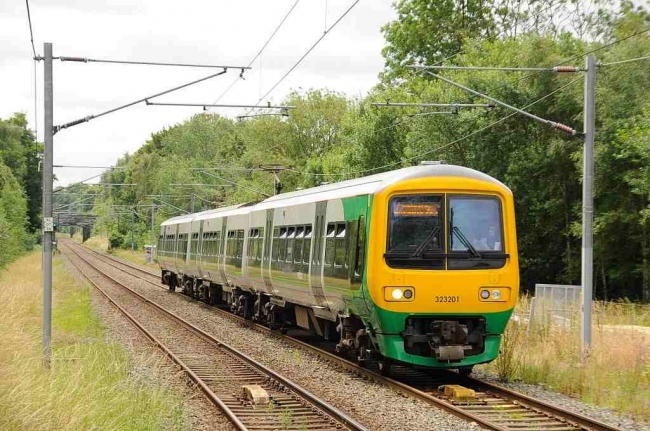 Description: The refurbishment program of the London Midland Class 323 E.M.U. fleet started in February 2008 is now well advanced. On the afternoon of Wednesday 16 July 2008, the first refurbished unit no. 323201 arrives at Sutton Coldfield with the 1233 Longbridge to Lichfield Trent Valley service.